With the holiday season nigh everyone is getting together their lists for the best gadgets and gear of 2009. 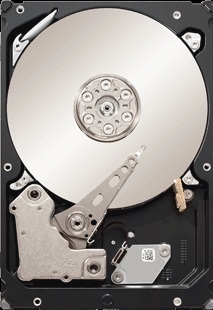 One item that doesn’t usually receive much attention is hard drives, frankly very little changes between drives. The lack of fan fair in this market has allowed Seagate to subtly release the Barracuda XT in a 2TB flavor while that by itself is unremarkable the fact that it comes in the new SATA III standard couldn’t get much better unless they wrapped it in bacon. Theoretically by doubling the SATA pipe you allow for a staggering 6GB/s data transfer, coupled with a beefy 64mb of DRAM could this be the drive to beat? Follow me while we review this potentially impressive drive. Just to wet your taste buds…. I salute you, I really enjoy the way in which u wrote the story?